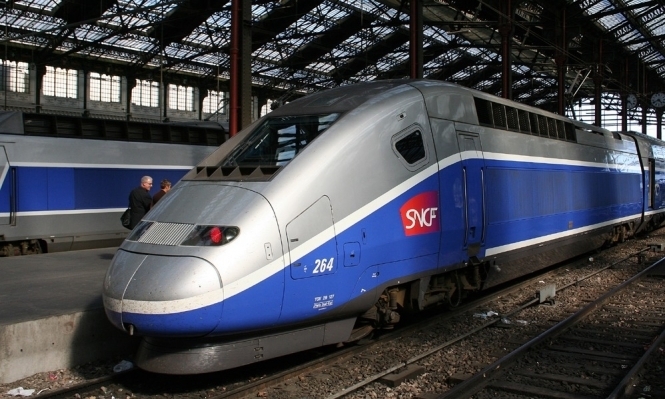 The number of smaller stations in France served by TGV trains (high-speed trains à grande vitesse) could be significantly reduced in a bid to reduce costs to train company SNCF. The company is currently losing money, with the government seeking ways to cut costs, reports news source 24 Matins. In an open letter sent to the press, the minister for Transport Élisabeth Borne wrote to Jean-Cyril Spinetta, former CEO of Air France-KLM and the man in charge of changing the system. She wrote that a re-think of “the TGV model” was needed, and should be agreed upon by the 2018 Budget announcement. Notably, Borne - who until this year was CEO of the state public transport RATP Group - explained that having TGV trains call at minor and smaller stations was having a “not-insignificant effect on the economic model of TGVs”. “To make parallels with air travel,” she explained, “We do not serve [small towns such as] Brive with [super-large passenger jets such as] an A380." Using TGVs to serve small town railways stations can not only cost more, the letter alleges, but also means that for 40% of journeys made in the last three years, high-speed TGVs have only been able to run at normal TER train speed, slowing down journey time considerably. The news comes just days after a TGV heading in the direction of Paris Gare de Lyon "forgot to stop" at the station of Montélimar, in the Drôme. Instead of their scheduled stop at 18h24, passengers requiring Montélimar were forced to get off at the TGV's next stop - Livron, 30km north - and take a TER train backwards, delaying them by half an hour. In her letter, Borne said that a “return to a proper economic system” was needed for the country’s rail network. However, no stations have yet been named as at risk of losing TGV services. Currently, TGVs serve 230 French stations. Spinetta must now submit his first report on the issue by the end of January 2018, and must also make recommendations on SNCF’s competition and tendering, by 2020 for TGV lines, and by 2023 for TER lines.